Deborah Levi, founder of Delen, executive chef, wife and mother, brings years of experience from working in the exhilarating catering kitchens of Israel. Inspired by the colourful, ‘down-to-earth’ sophistication and modern style to functions, she has brought with her a fresh perspective and original approach to event catering. Our inspiration comes from the aromas and colours of markets, locally and abroad. We enjoy infusing cuisines to create originality that is fresh, flavoursome and attractive. Our greatest strength is our amazing diverse & multinational team who love what they do. This is reflected in the quality and attention to detail in everything that is undertaken. We are proud of the systems we have placed to ensure we use sustainable, local produce and aim to work responsibly by reducing waste and giving back to the community. 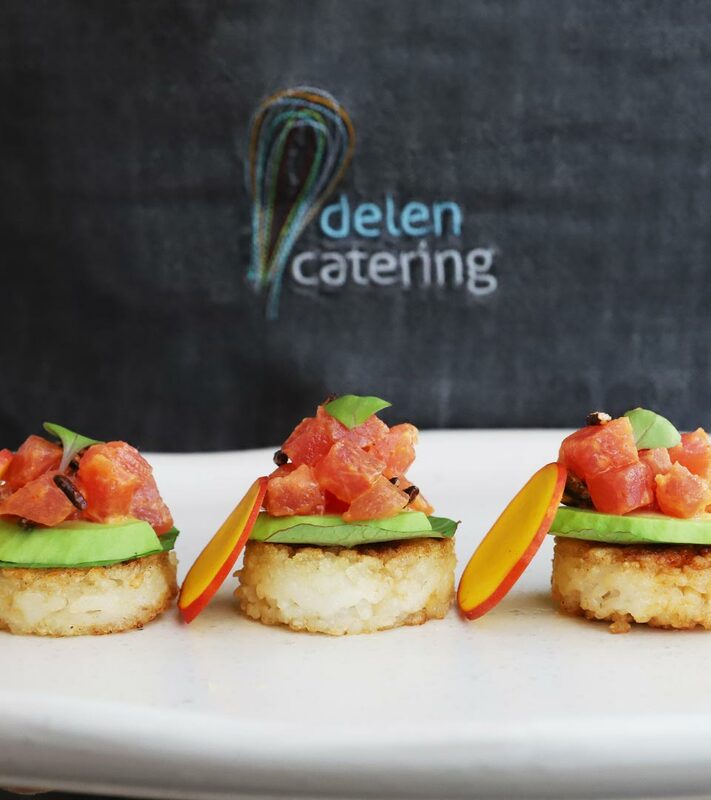 From intimate dinner parties, to large-scale wedding events, Delen Catering is the obvious answer to making your occasion a monumental success. Delen Catering is currently servicing Sydney’s Eastern Suburbs, North Shore and Inner West.